There was a fundamental issue with how Apple’s ubiquitous mobile devices handle SSL certificates, which has been fixed. However, the very same flaw also exists in the company’s OS X desktop operating system. “We are aware of this issue and already have a software fix that will be released very soon,” Apple spokeswoman Trudy Muller told Reuters. 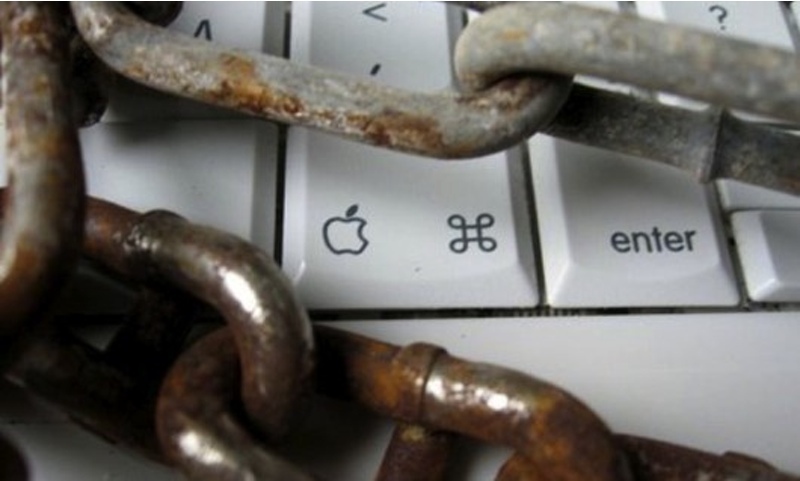 Whether you call it a hole or backdoor, Mac security is fundamentally compromised. The problem lies in the way the software recognizes the digital certificates used by banking sites, Google’s Gmail service, Facebook and others to establish encrypted connections. A single line in the program and an omitted bracket meant that those certificates were not authenticated at all, so that hackers can impersonate the website being sought and capture all the electronic traffic before passing it along to the real site — Reuters. To computer experts, the underlying issue is “just a mistake.” However, with the ongoing furor over NSA spying and data collection, the conspiracy theorists are having a field day. Sigh. These days, the conspiracy theorists look sane compared to the NSA deniers and apologists. Previously, Tapscape reported on the NSA’s “dropoutjeep” toolkit, which supposedly allowed the American spy agency to hack any iPhone. The above SSL certificate issue could be the backdoor they used to compromise both iOS and Mac security.